The E Atlantic trough cuts off towards W Iberia and slowly weakens while moving south. The main trough moves north across western Europe with a frontal boundary extending across France. 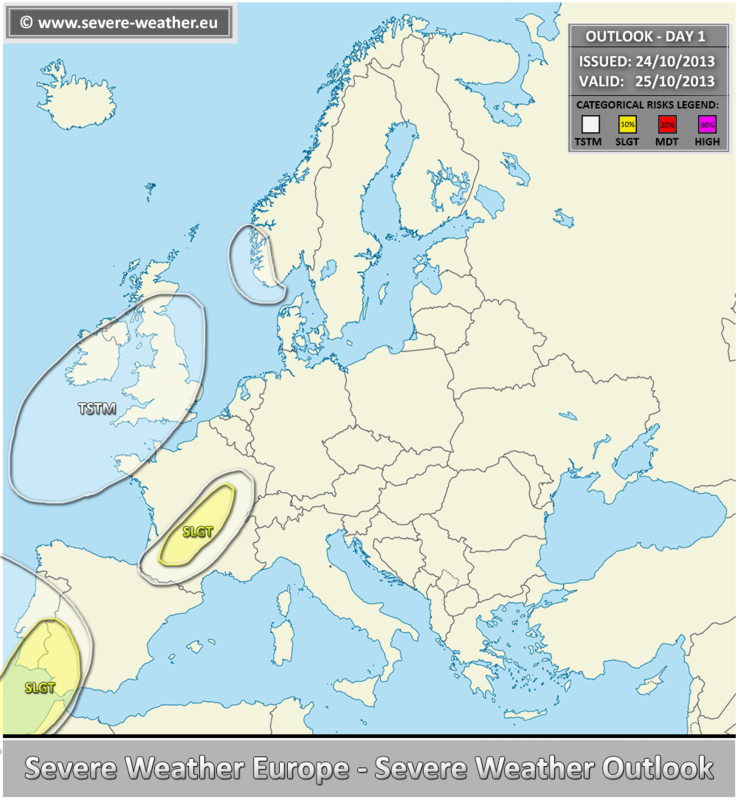 A SLGT risk has been issued for SW Iberia into NW Marocco with threat for heavy rain, large hail, severe winds and some threat for tornadoes. A marginal SLGT risk area has been issued for SW and central France with threat for heavy rain and strong winds.